We have customers ask us all the time if we offer any wireless home speaker or surround sound options. The answer is yes, but it’s never what most customers think. The word “wireless” in this instance is a bit misleading. In order to explain this better, let’s take a look at how a normal, wired surround sound setup works in a home. You have a TV, a receiver, and your speakers. Audio from the TV is routed into the receiver. Wires run from the receiver to each individual speaker sending power and signal, so they play what’s on the TV. You can send both simultaneously over the speaker wire from the receiver to the speakers. You can also transmit audio signal wirelessly. We do this on a daily basis using the bluetooth in our vehicles or in some cases using the wifi network in our homes. But, you can’t wirelessly transmit the power. We can listen to our phone over bluetooth in our vehicle because it’s sending the audio signal to the radio. The car battery sends power to the radio, and the radio sends power to the speakers. This allows the audio signal to be played. If you disconnect your radio from the battery, it won’t receive the signal or power the speakers anymore. The same, simple concept applies to “wireless” home audio speakers and surround sound systems. The speaker doesn’t need to be directly connected to the receiver with a wire, this is true. Some of these speakers have internal amplifiers to power the speaker and the components within that will receive the signal. But it still needs power. All of these speakers need to either be plugged into a wall socket or have an alternative source of power (which will also need to be plugged into a wall socket) such as an amp/receiver. Note: There are, of course, portable wireless speakers that are either battery powered or rechargeable. We carry several versions of these in different brands. However, they are not meant for surround sound or home theater applications. You just have to have a wall socket close by to power the speaker. Other than that as far as wireless surround sound, streaming music, or multiple rooms playing the same or different sources, Sonos is one of the best on the market. Get full surround sound and deep bass, plus Alexa voice control, for your TV and music. Their new product, the Sonos Beam, adds Alexa voice control over their current Sonos Playbar (Which is Amazon Echo or Dot compatible, but not controllable via the soundbar itself like the Beam). Their 5.1 Surround Set with Beam & One gives an incredibly immersive experience without the need to route wires from every speaker to the TV or receiver. Only the Beam needs to be connected to the audio source. The beauty of what Sonos has accomplished lies not just within the quality of their products, but in the flexibility offered to the customer. Sonos speakers work by using your current home wifi network and linking wirelessly to each other. You can group, or separate speakers to play the same source or different sources. If you had a Sonos speaker in every room, you could get up from your movie and walk to any room without missing the audio. Example: You have the 5.1 Sonos Surround Set with Beam & One in the living room, a Play:1 in the bedroom, another Play:1 in kitchen, and a Play:5 in the back patio area. You could have everything play what the TV is playing, or only have the surround/Play:1 in the kitchen play the audio from the TV and play music in the bedroom/back patio. You could also play different music in both the bedroom and back patio. You can group or ungroup speakers to suit your needs for the different sources you want to listen to. Maybe you like being able to play what you want in different rooms but you don’t necessarily like the Sonos speakers. That’s fine, we can help with that too! The Sonos Connect and Connect:Amp allow you to either link an existing receiver and speakers or power and link a set of speakers without a receiver. This gives you the ability to use whatever speakers you prefer or currently have and create a wireless Sonos network with them. 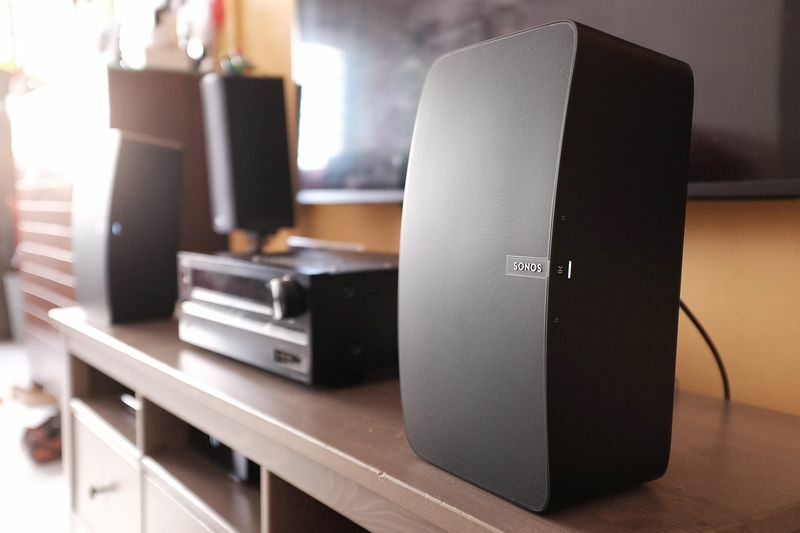 From bookshelf speakers, to towers and in ceiling/wall, everything can integrate with Sonos. You can’t get much more flexible than that! This is still only one of the wireless speaker options we offer here at Stereo & Video Center in Tyler Texas. We’d love to sit down and figure out exactly what will work best for you and your families needs. Give us a call today for a free consultation!